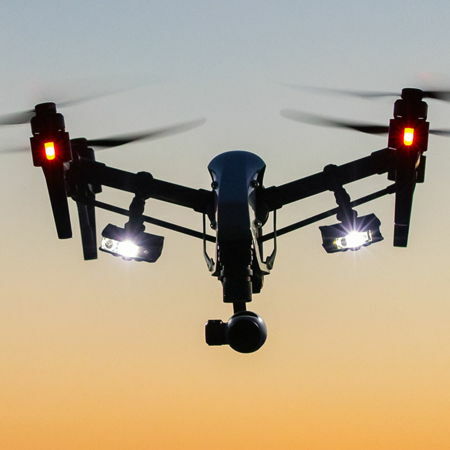 FoxFury Lighting Solutions has come up with something that is certainly in demand by drone owners who would like to be able to do far more than capture shots during the day — how about in low light conditions, or even in the dark of the night? Imagine a Blair Witch Project idea, except that it is all recorded from above. Enter the FoxFury Rugo, a rugged go anywhere light that is meant for photo and video use. The FoxFury Rugo comes across as a powerful and compact LED light that will run off a rechargeable Quick Swap Power Pack. It is so versatile that you can mount to action cams, DSLRs, drones, tripods and other compatible devices. Thanks to its Tri-Lens, users are able to make adjustments to the light beam, and this dramatically improves image quality in low and no light conditions. The FoxFury Rugo was carefully conceived and crafted, functioning as a rugged go anywhere light and literally opens up the doors to all sorts of stunning new photo and video opportunities. Thanks to its user-friendly design, it sports Rechargeable Quick Swap Power Packs that allows it to be implemented in order to extend shoot times and capabilities. With a maximum brightness level of 700 lumens, the FoxFury Rugo is more than capable of sending light on subjects that are up to 100ft (30m) away. The Rugo will also boast of a trio of interchangeable lens settings known as Tri-Lens, letting the user shift quickly between area, flood and spot lighting without missing a beat. Each FoxFury Rugo purchase will comprise of a Cold-Shoe Mount, a ¼”-20 Mount, a Standard Mount, a couple of thumbscrews, and two Mount Knobs, enabling it to play nice with a slew of products such as action cameras and drones. Just in case you need it, additional power packs can be purchased.